Exceeding Expectations, One Array At A Time. We at Got Sun Go Solar just attended a very informative event in Boston hosted by, Solar Power Events! Got Sun Go Solar, a proud member of SEIA, we met with a vary of distributors, marketing professionals, EPC contractors, and the new upcoming manufacturers for Photovoltaic modules and components. 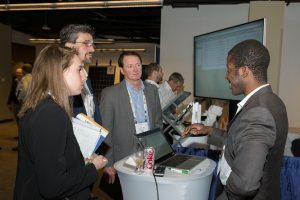 With over 1,300 attending the event and over 60 exhibitors focusing on the Northeastern region of the United States, we learned much about the direction Massachuetts is leaning in for solar energy and what they are investing their money into, to promote and further the clean solar world we are heading towards. Here at Got Sun Go Solar, we take great pride in keeping up to date with the latest and greatest solar industry trends and regulations. We had a great time taking part in the National Electric Code and NEC training event on January 27th, 2017. Barret Miles the Senior Representative of CED introducing Bill Brooks. 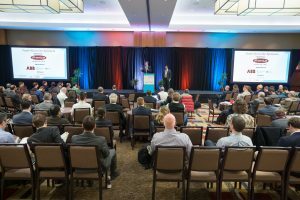 informative guest speakers, and networking opportunities for solar industry officials. Bill Brooks, a speaker at the event has 25 years of experience in the solar industry with designing, installing, and evaluating grid-connected PV systems. Want to learn more about solar? Contact Us today to learn more ! We feel good about this one!